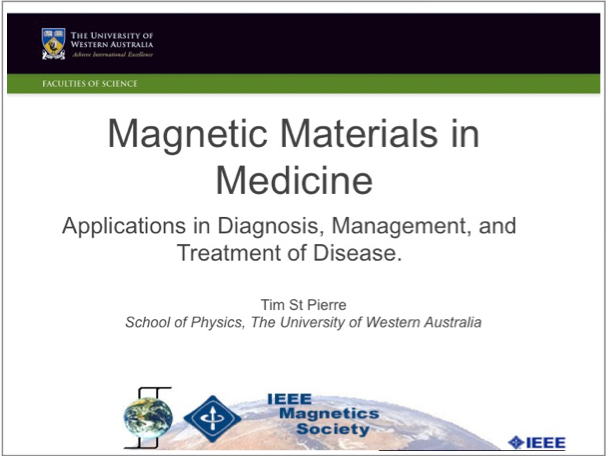 Follow the adventures of Prof. Tim St Pierre, a 2014 IEEE Magnetics Society Distinguished Lecturer, as he travels globally with his presentation about biomagnetics and its biomedical applications. Here are his lecture dates. Stay tuned! Or view the entire adventure in reverse chronological order (= posts in the “Where is Tim?” category).